Some of you might be having more than one yahoo ID would like to log in simultaneously. Here is an easy way to do it without installing any sort of software. You just have to edit the registry and voila there you go. Follow the instructions from here. 3. Download HxD hex editor. 7. Save the file and close HxD. 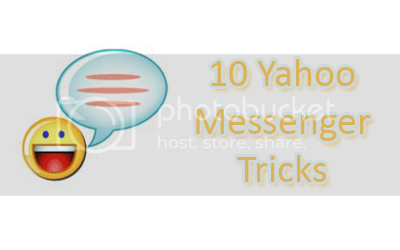 You can make use of all smileys including hidden ones in your messenger by using YEmotePLUS plugin. Y! Display Pic will retrieve yahoo users even if they are offline or invisible. You can download it from here.